Lisa, not smiling even though she is very excited. In reality, it was truly hard to contain my smile in that photo. The purpose for an updated passport pic is my big news. I needed a visa photo for an upcoming January trip with Catholic Relief Services to the country of Tanzania! 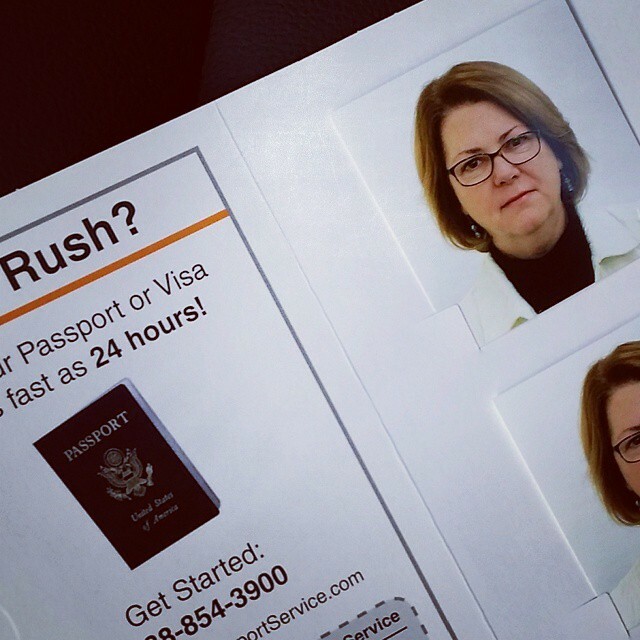 For the record, no smiling is allowed in passport photos. But in real life, I can’t contain the joy I feel any longer! I will be officially joining a small group of journalists to travel with CRS. Our work in Tanzania will focus on highlighting the ways in which CRS’s fantastic Rice Bowl program impacts upon the lives of families living in that country. For me, this trip has incredible personal meaning. Along with being a member of the media delegation, I will also view this trip as a first time Volunteer Coordinator for Rice Bowl in my parish. Ironically, my decision to step up and make Rice Bowl happen at my faith home happened long before I knew about this trip. Last year, our family “did” Rice Bowl in our home. I saw personally the impact of Rice Bowl’s core message, “What you give up for Lent, Changes Lives.” Our small giving makes a huge difference in the lives of those served by CRS. But it also made a huge difference in my own life! So this year, I bit the bullet, approached my pastor, and received approval to bring Rice Bowl to our 5,000 family parish and our 700 student Catholic school. This week, I ordered all of our Rice Bowl supplies for the parish and school. We hope to distribute and collect 1,500 Rice Bowls in our faith community. I honestly feel as though this is a huge leap of faith… While individual families have done Rice Bowl, I can’t recall our entire parish participating in recent memory. So far, the initiative has been very well received by both our parish and school leadership. Learn more about how you can bring Rice Bowl to your home, parish or school at CRSRiceBowl.org. I will be sharing more soon about how our parish’s effort is going. Little did I know when I volunteered that just a few months later, I would receive this amazing invitation. I am going to wait for an official Catholic Relief Services announcement to unveil my fellow travelers’ names. I can just say at this point that I’m excited and honored beyond my capacity to describe. Many of you know that I traveled with CRS to Rwanda in October of 2013. That amazing trip was a turning point in my life. It opened my eyes to the beauty and spiritual richness of Africa. It whetted my appetite to return to the continent and to know more about her people. The Power of Rice Bowl – 40 years, 40 days ($40 if you can get it in). Look at the impact of CRS Rice Bowl. Their ‘new’ friend Thomas Awiapo from Ghana is one person in whole generation of people who were saved from likely starvation and certain malnutrition by food programs supported through CRS Rice Bowl. Today, these men and women, former classmates and friends of Thomas’ are the teachers, healthcare providers, and administrators in his community. They, like Thomas, are raising children who will never experience the hunger their parents experienced. This generation of people have moved up the ladder and the next generation stands on their shoulders reaching even higher. But still there are needs in the world today and people who are starving. Our participation in Rice Bowl each Lent improves their ability to reach their full potential, connects us a human family. At 6 am on January 24th, I will leave Fresno, fly to Seattle and then on to Amsterdam. 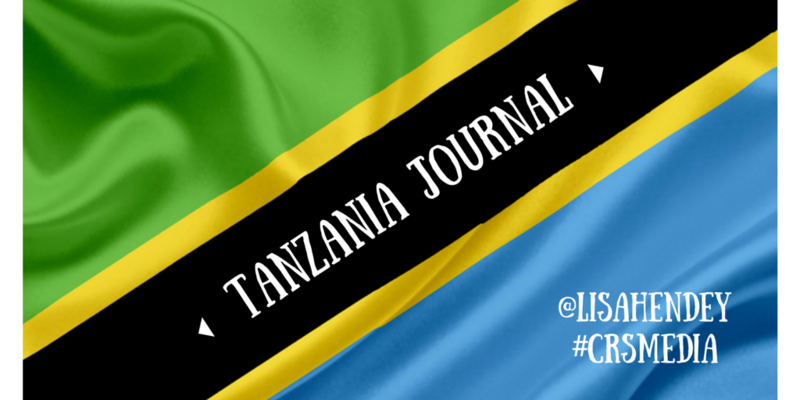 After meeting my fellow #CRSMedia colleagues, I will fly to Dar Es Salaam. 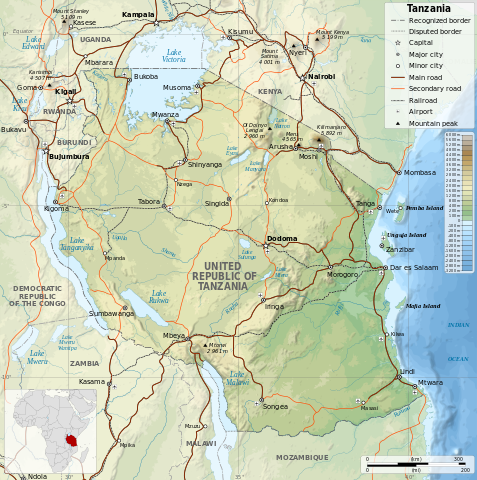 While we don’t yet have our full itinerary, I know that our trip will take us into areas of Tanzania where CRS is working directly with organizations and individuals in a variety of projects. My plan is to blog, tweet, facebook, instagram and youtube my way through every step of this amazing mission. That starts today with bad Visa photos and will continue for the next month as I prepare for this adventure. Most of us associate Rice Bowl with Lent. Today, and for the next several weeks, I invite you to begin your fasting, almsgiving and prayer a bit early by coming along with me–at least virtually–on this incredible adventure! In the mean time, please keep the CRS team, my fellow travelers, and the people of Tanzania in your prayers as we prepare for our journey.